We are a Software Development Company composed of young, highly educated and top talent IT specialists. We support our valued customers in their online business development and productivity increase. Our very first priority is to provide customers with high quality services by using custom Open Source Solutions and frameworks. If you are having an idea about a new IT project, let our highly skilled developer team help you to make it happen. Our priority is quality. We care from the big-picture view to the very small details in every projects, to ensure the customer's highest satisfaction. Thanks to high level training, our developers are well equipped with necessary knowledge, skills and tools to provide excellent outsourcing services. We know how crucial it is to quickly enter the market and we do our best to ensure the shortest duration for launching custom products. Focusing on the top quality services, we, at the same time, do offer the very competitive price to our customers, since we always aim to a long-term cooperation. Sutunam developers stay at the cutting edge of technology and have accurate knowledge of IT sector. We are at your disposal to help you to make the best choices. Whatever your project is, all you have to do is contact us and we will elaborate a tailored plan that best meets your business demands. Our customers, who we are proud to work with, use our outsourcing services instead of hiring permanent IT developers within their companies. We are aware of their need to work with skilled professionals who fully understand both their vision and objectives. Since the beginning, we always seek to put ourselves in their shoes and thus, bring a tailored expertise to their projects. Vietnam is considered one of the world’s most financially competitive service markets, and by far one of the most potential markets in IT industry. Economic and political conditions are favorable to the rapid development of this dynamic country. The increasing number of highly skilled IT experts with good qualifications and strong technical skills is also a big competency to attract more and more foreign investors coming to Vietnam. "Sutunam associates resolved multiple problems in a resource-constrained environment, further complicated by the lack of stakeholder familiarity with technical issues. The teacher video forum/competition set up by the team shows great promise to be a sustainable activity for the future." "I was always impressed by their professionalism, their deep knowledge and expertise of the IT world and the quality of their work. I cherished Sutunam precious advices, their dedication to our projects and their great human values. The whole team was always responsive on IT issues and creative in their solutions to my needs." "We (including the management and sales dept.) are very pleased with the speed we have now.You and your team did a great job! 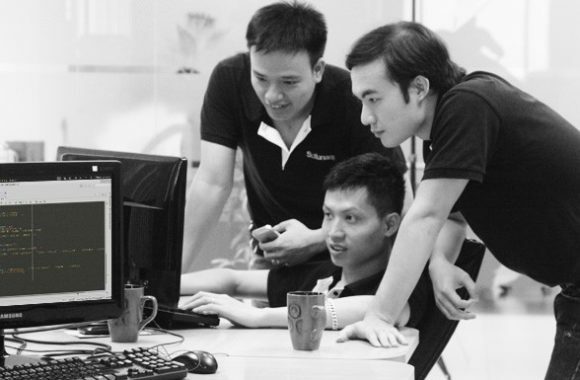 "#Magento #Performance, great job from Sutunam Vietnam team!" Feel safe, you are on the right track!